Numero Uno Web Solutions (www.NumeroUnoWeb.com), a fast-growing Internet marketing firm that caters to medium- and large-sized business-to-business (B2B) and business-to-consumer (B2C) companies, is responding to a study showing that brands are shifting more of their online budget to attract the growing number of mobile searches. Libarian explains that mobile use in Canada is changing and brands must change as well to keep up with this evolving dynamic. With a 68% smartphone penetration rate in Canada, adopting or implementing a mobile marketing plan is no longer an option; it’s a necessity. That’s because mobile searches will account for more than half of all Google searches in Canada in 2015. As a result, brands are moving more of their online marketing budget to attract mobile users. A recent study shows that mobile search will make up 32.8% of all search ad spending in Canada in 2015 and 67.7% of the total in 2018. In 2015, mobile search ad spending in Canada will reach $803.1 million, a 65.3% increase over 2014. This presents a number of new opportunities for merchants to take advantage of convenient mobile tools, including click-to-call and voice search. Because consumers respond to different types of content, it’s important to use long- and short-form copy, video, images, and infographics. On top of that, it’s imperative that that content is optimized for use on mobile devices. 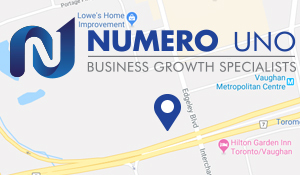 Numero Uno Web Solutions, a trusted Google Partner, is one of the top Internet marketing firms due to constant innovation and overall customer satisfaction. For more information on Numero Uno Web Solutions, and to discover how it can help maximize a company’s search engine optimization and online presence, visit www.NumeroUnoWeb.com or call Numero Uno Web Solutions toll-free at 1-855-SEO-XPRT (1-855-736-9778).